So I had a poll on my blog which came back with people requesting I do some vintage posts, so here it goes! 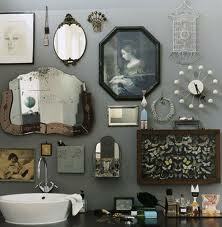 I have a passion for all things vintage, from clothing, interiors and accessories. I go to many vintage fairs and flea markets, they have to be my favourite days out! 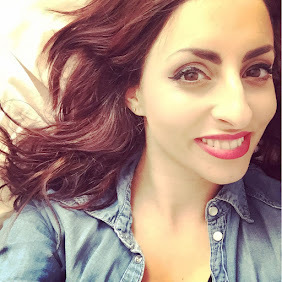 This post is a selection of photos to inspire and with ideas that I love and have picked up along the way. 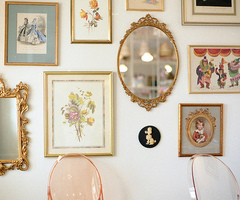 In my eyes you cant go wrong with a wall in the house adorned with different styles and types of frames, pictures and/or mirrors. I am currently completing my wall in the living room with a theme. I chose a floral theme with a couple of mirrors to balance the look out. Above you can see they have selected some floral pictures, mirrors and a picture of a boy. 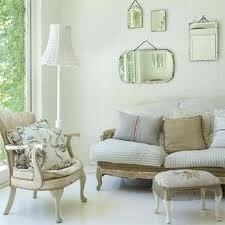 Or the living room with four simple mirrors, or the bathroom with a selection of beautiful mirrors and items! You really can do whatever you fancy with this look, no matter what it will give you the wow factor and change the look of any room! 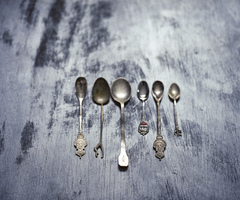 I currently am collecting vintage cutlery that I then want to use daily! I know how long will that take me! But it will be worth it! I am wanting to tie them up with ribbon and lace in little bunches and place them in a basket...you have to have them on display! You really can find some stunning ones for next to nothing, I suggest going to flea markets or car boots. Lace, chandeliers and muted tones are my all time favourite thing at the moment!! I really cant get enough of them! 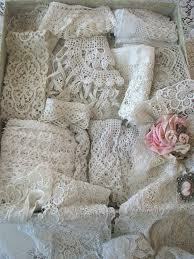 I love draping lace onto displays or tying up items with lace teased into a bow. 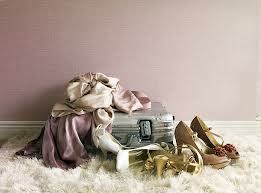 Muted tones are stunning, they add luxury and glamour to any room! 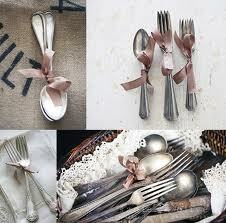 Rachel ashwell uses these tones well. I am also loving white, look at that room to the left!! How gorgeous is that! White white and more white! Chandeliers add that final touch of beauty to leave a room sparkling! If any of you have any books you recommend for me to look at I would love that as I am wanting some new ones to flick through whilst I have my cup of tea! Wow! I loved your post wit beautiful picture demonstration and layout. All the above images are too cool. 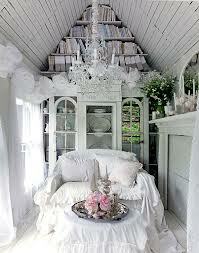 I often prefer white furniture and really glad to see white above.